Get the right treatment for conjunctivitis with a Greater Orlando area eye doctor. You may know conjunctivitis as “pink eye.” It’s an itchy, burning, sometimes runny infection of the conjunctiva, or membrane, that makes the eyes pink or bloodshot. There are many causes of this eye disease. But the good news is that it can be easily diagnosed and treated. 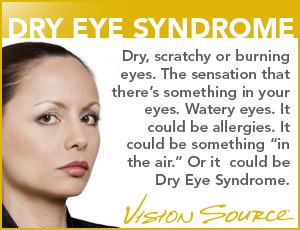 Learn more below and contact a trusted eye care provider to find the right treatment for you. Find an office near you in the Greater Orlando area. While conjunctivitis is easily diagnosed, only a trained eye doctor can determine the likely cause and best course of treatment. Viruses, bacteria, and allergens are all common culprits. Irritants such as chemicals, fungi, and even contact wear can cause the eyes to become red and inflamed. It is important to seek urgent medical care when the inflammation is caused by chemical irritants or when it happens in newborns. Your eye doctor will recommend different treatments for conjunctivitis depending on the cause. Common causes include the following. A number of different viruses, similar to those that cause upper respiratory tract infections, colds, and sore throats can cause this type of inflammation. While it spreads easily, viral conjunctivitis is considered mild and usually clears without treatment, typically in a few days, but sometimes weeks. Certain bacteria can infect the membrane for several days or weeks. There is evidence that this type of infection may clear up in a few days without treatment. Only a doctor can determine if you need a prescription antibiotic or eye drops. Dust, molds, pollen, animals, and even contact lense use or solutions can cause this allergic reaction, which usually occurs in both eyes. Often removing the allergen, taking allergy medicines or applying a cool compress will bring relief. Your eye doctor can help you find ways to adjust your contact lens use and care to make your eyes more comfortable.